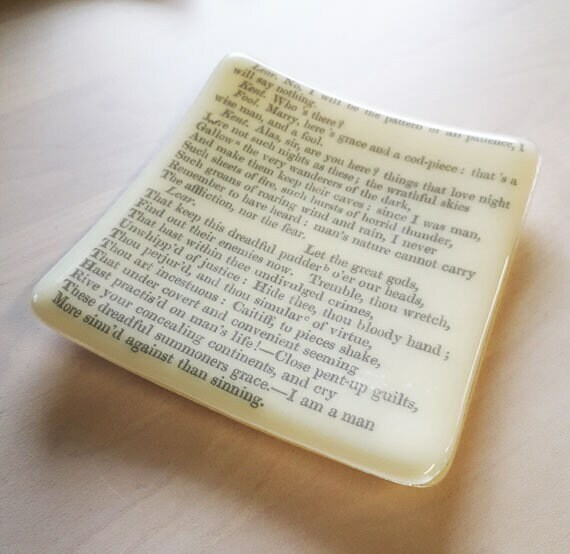 This is a shallow trinket dish, made from cream coloured fused glass. 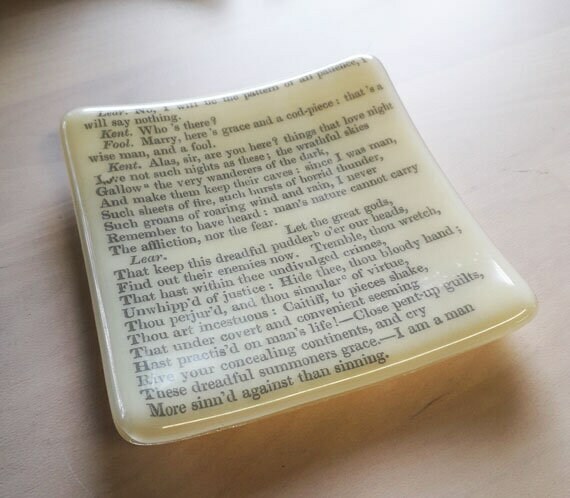 The text is fired into the glass, and comes from an 1840s printing of Shakespeare's King Lear. 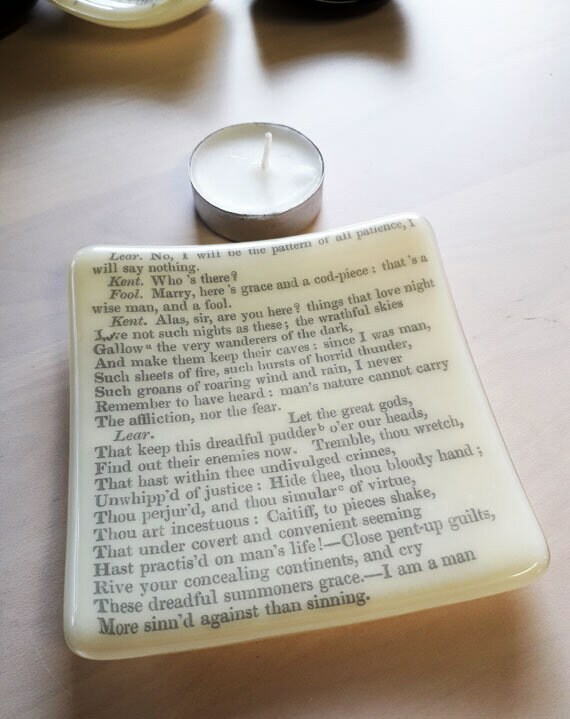 It's about 10cm x 10cm, so it's a good size to use for little trinkets, or as a tealight stand. 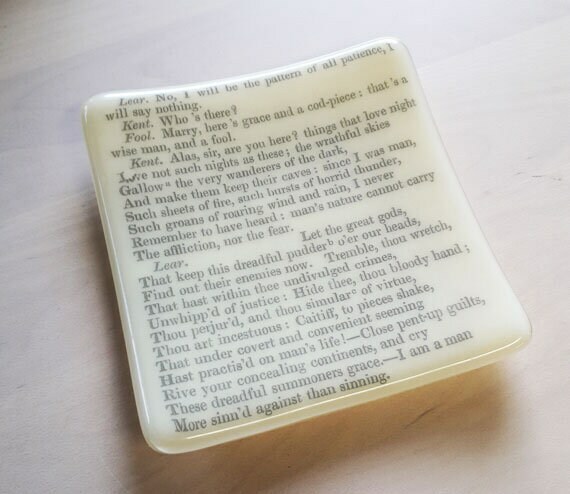 It's food safe, and can be washed with regular dish washing liquid.